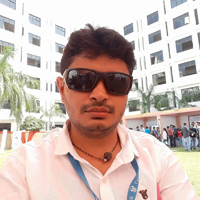 Mr. Bhargav Anadkat | Institute for Peace and Leadership, Inc.
Mr. Bhargav Anadkat is an IT Professional, with a primary skill focus on web developing in PHP & Opensource. He is the founder and proprietor of Shree Gokul InfoTech. He is a Snr. Web Developer at Dhanashree Incorporation where he provides quality services to clients around the world. In his 7+ years of IT experience, Mr. Anadkat has had the opportunity to work on a multitude of technology projects including but not limited to WordPress, Magneto, PHP, Ajax, Jquery, mysql and many other platforms. Mr. Bhargav is proud to provide technical assistance and service to I.P.T.L.